Today America celebrates 241 years of independence. 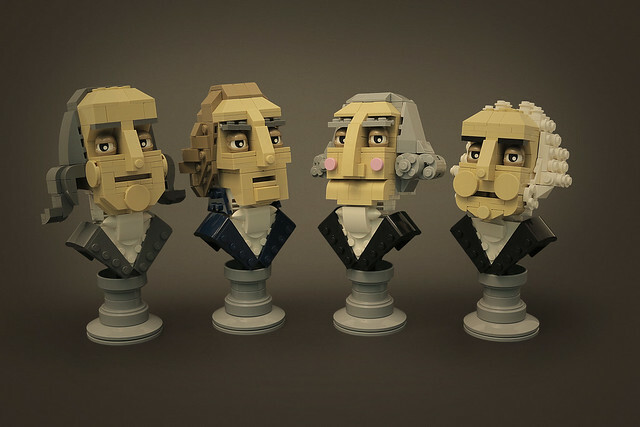 As we do we should all take a moment to reflect on the founding fathers (brilliantly recreated by the talented Legohaulic here) and give thanks that we're a free country, tea is still delicious and silly wigs have gone out of style. Happy July 4th everyone.